Unless you’re George R.R. Martin or J.K. Rowling, you—like most writers—will have to invest in some self-promotion to increase your readership. And the hub of your promotional activity should be your author website. But when you don’t have the big marketing budget of a bestselling author, an author website can be a sizable expense. Not to worry. At Web Design Relief, we specialize in creating affordable, attractive, and functional author websites. 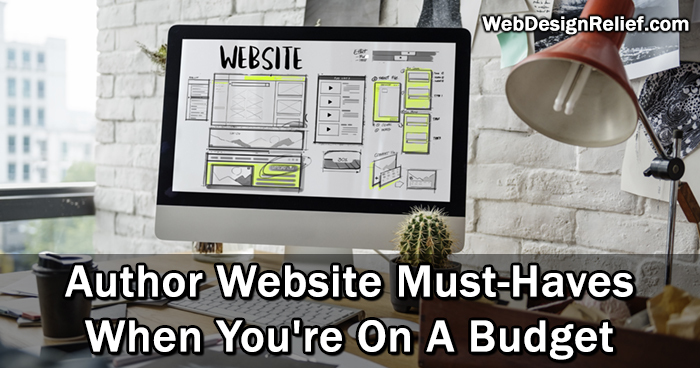 We know which website elements are must-haves when you’re building an author website on a budget. Domain and Web Hosting: Both a domain and a web host are crucial when building a website—after all, your website can’t run without them! A domain is your website’s name and how visitors will find you with an Internet search. Hosting refers to the company providing server space and connection to the Internet. This is where your site “lives” on the World Wide Web. Safety Protocols: Cybersecurity is another must-have in order to keep your site, yourself, and your web visitors safe from online threats like viruses and spam. It’s worth the money (and you’ll sleep better at night) to use a dedicated hosting service that will run routine software and security updates on your site—something you can count on with Web Design Relief’s hosting service. You can also install security plugins to run scans on your site for malware and CAPTCHA-secure all areas where visitors can input information, like a contact form. Informational Pages: Pages for your author biography, publication history, and contact form are essential because they serve as the real meat of your website. An author website is meant to act as a modern version of a business card and serve as a networking tool to further your writing career. 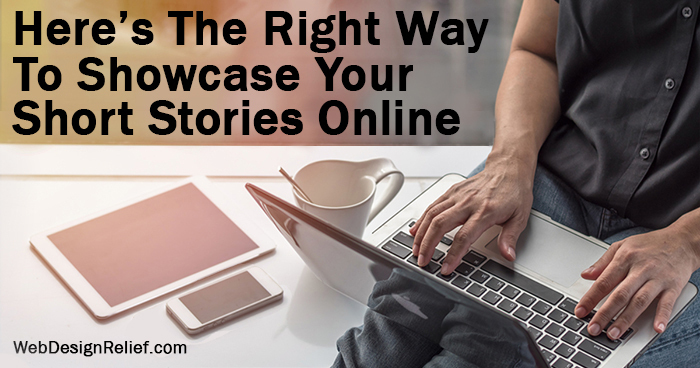 This is where editors, agents, and your readers can learn all about you and gain insight into your previous publications. A contact form also gives visitors an easy way to get in touch with you about a question, a compliment, or even an opportunity! Mailing List: You might be thinking: What do I need a mailing list for? But our marketing experts urge you to never underestimate the power of old-fashioned email lists. Sending promotional emails for your book projects and other writing can more effectively engage your audience than pricey social media advertisements. And while social media accounts are fleeting (think Myspace), email and mailing lists are a form of communication between you and your followers that isn’t going away any time soon. Buy Now Buttons: Interactive buttons that lead visitors directly to the retailers offering your books and merchandise make it easy for visitors to purchase your content, transforming your website into a book-selling machine. And buy now buttons also add a layer of professional polish to your website. INSIDER TECH TIP: There is a simple trick that achieves the same results without the extra cost of buttons. Simply include hyperlinks that lead to the various retailers, effectively acting as a button without the razzle-dazzle. Social Media Integration: Having Facebook, Twitter, Instagram, and other icons on your website lets visitors easily network with you on your social media platforms. You can even feature live feeds of your social media content so that posts reach a bigger audience. There are many ways to incorporate social media on your website. INSIDER TECH TIP: High-tech social media integration not in your budget? 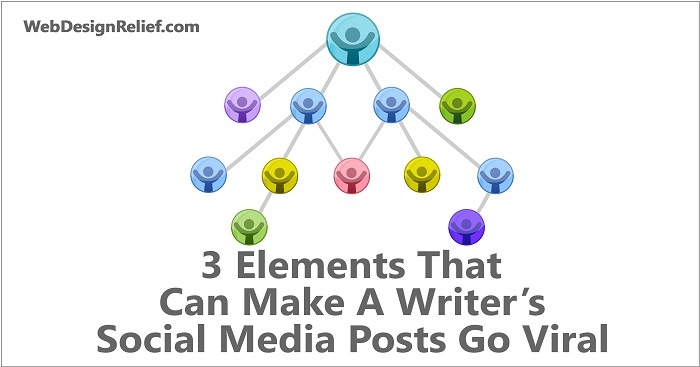 Consider placing posts on your website that direct visitors to your social media accounts via a hyperlink or good old-fashioned instructions on how to search for you (Follow me on Twitter at @myauthorname!). Or work in reverse! Add links to your website in the “About” section of your social media account for a free and effective way to link your audience with your website. When it comes to building a professional author website, it’s important to know the best elements to spend your money on—and to build a great foundation without busting your budget. Question: What do you consider the most important must-have element of an author website?